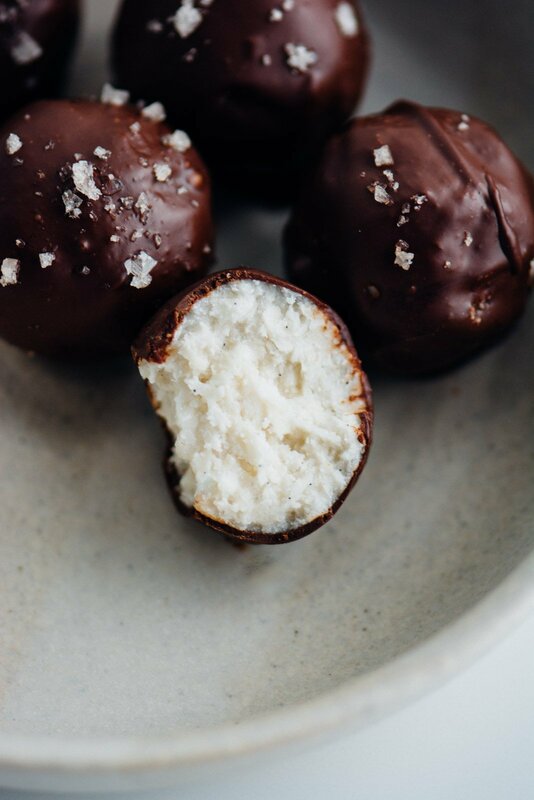 I promised you a recipe to use the coconut butter I posted yesterday in a recipe so here are my dark chocolate coconut butter bites. They are quick and easy to put together and will keep in the refrigerator for up to 2 weeks. Having a little something to snack on when the urge hits can really help you stay on track when you are trying to eat healthier. I am the first to admit that I get tempted by the chips and cookies hiding in my pantry when I get stressed or bored. 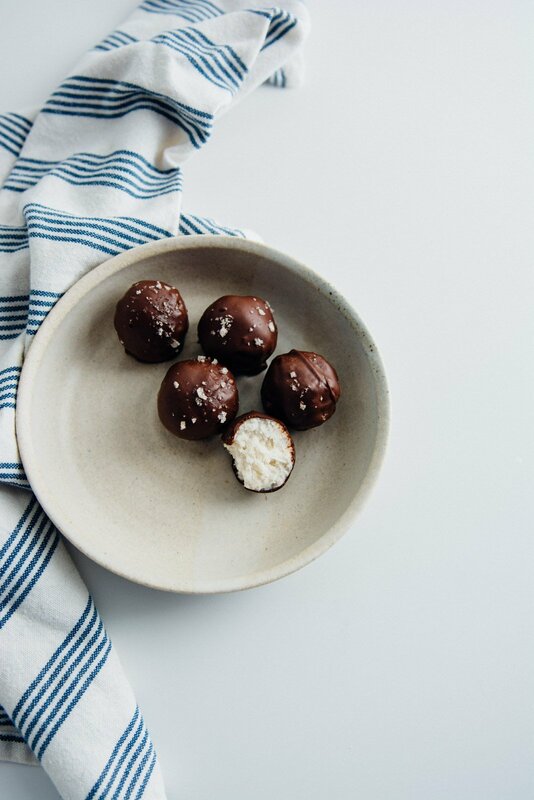 I’ve found that it really helps to keep a little stash of these energy bites in my refrigerator for an afternoon or post-workout snack. 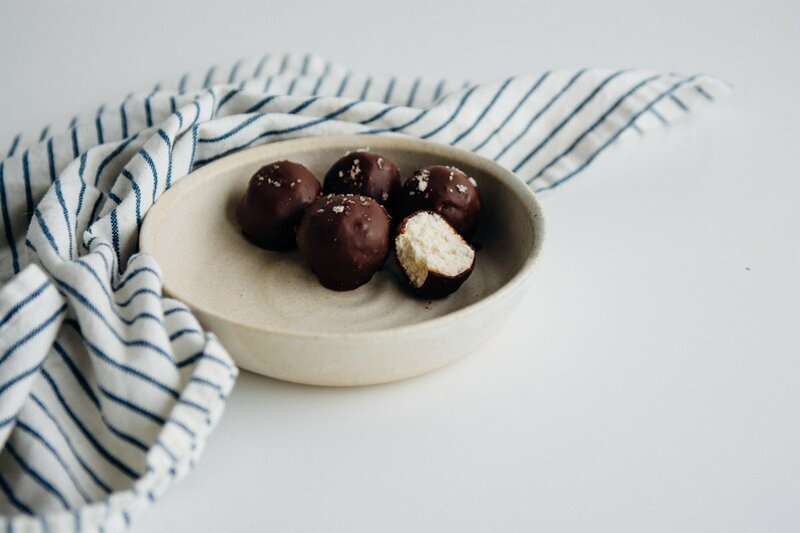 And unlike the candy bar they are inspired by, they are vegan and contain no refined sugars or preservatives, so there is no guilt involved! 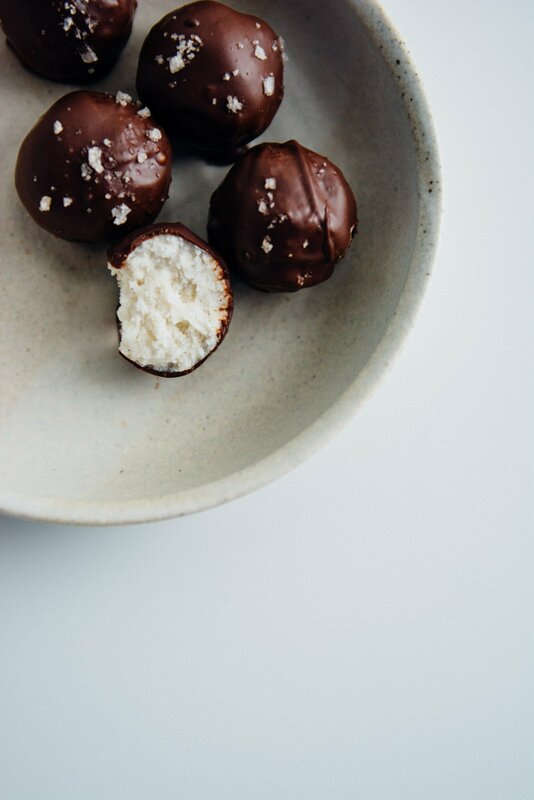 These bites are loaded with coconut. 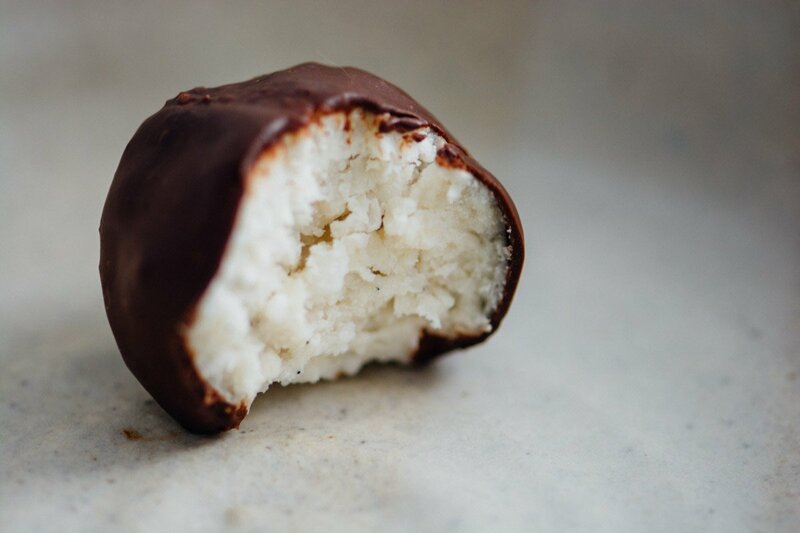 Shredded coconut, coconut butter, and coconut milk are combined with a bit of maple syrup, vanilla, and salt and then dipped in melted dark chocolate. 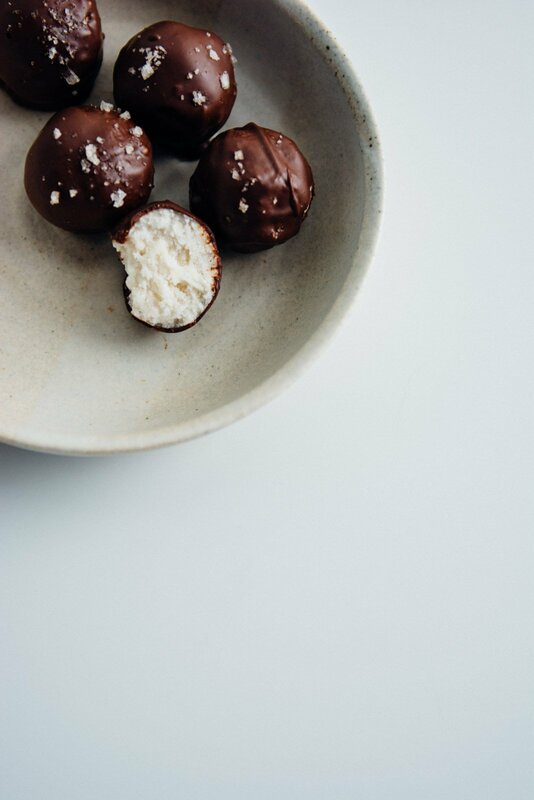 Make sure to use unsweetened coconut so you can control the degree of sweetness. Place desiccated coconut, coconut butter, and coconut oil into a bowl of a food processor and process until the mixture resembles breadcrumbs. Add the coconut milk, maple syrup, and vanilla and pulse to combine until the mixture holds together when squeezed between your fingers. 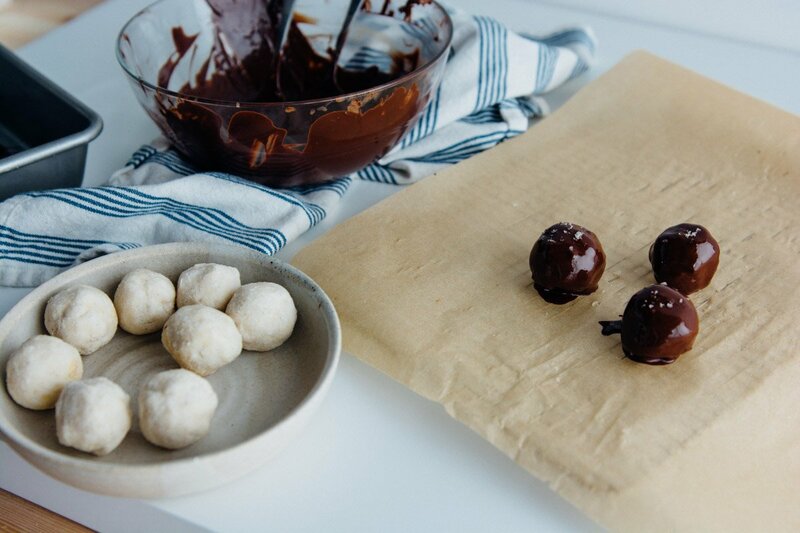 Using a tablespoon scoop the mixture and form into balls. 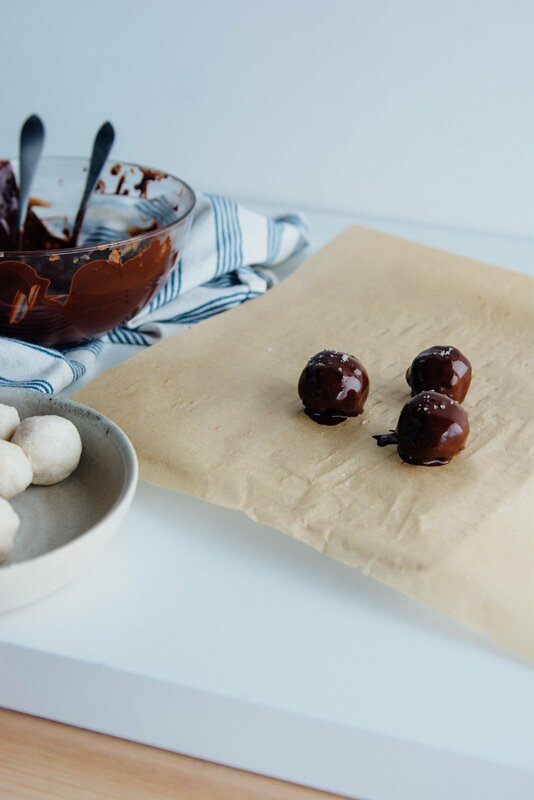 Place in the refrigerator to chill for 10 minutes while you prepare the chocolate coating. 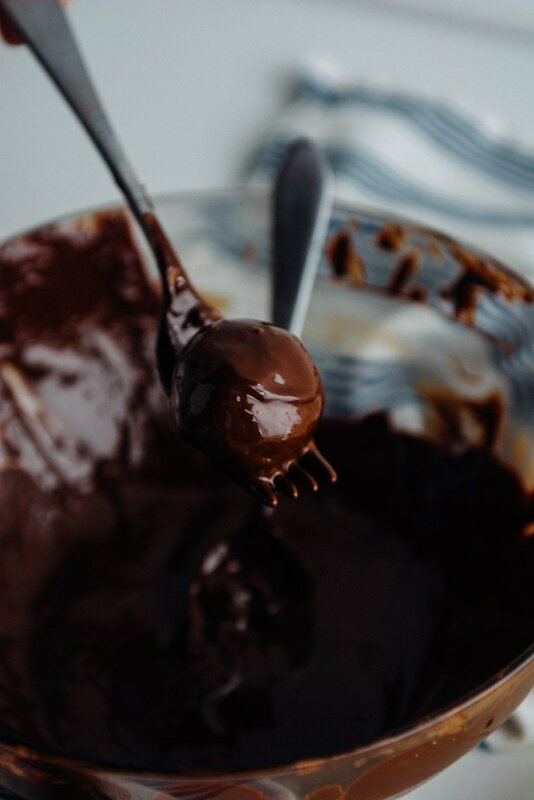 Make a double boiler by heating an inch of water in a small saucepan over medium heat and placing a heat-proof bowl over the top. Add the chopped chocolate to the bowl and stir occasionally until the chocolate is smooth and completely melted. 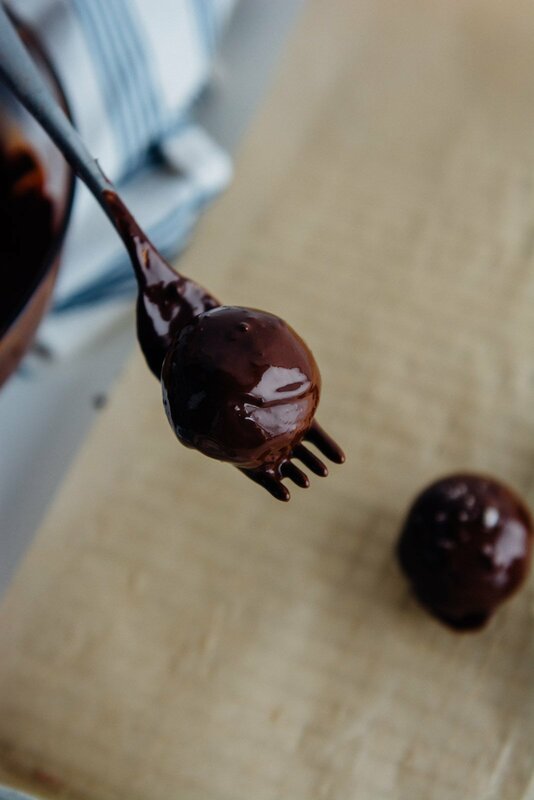 Use two forks to dip each bite into the chocolate. Gently shake to remove excess chocolate. 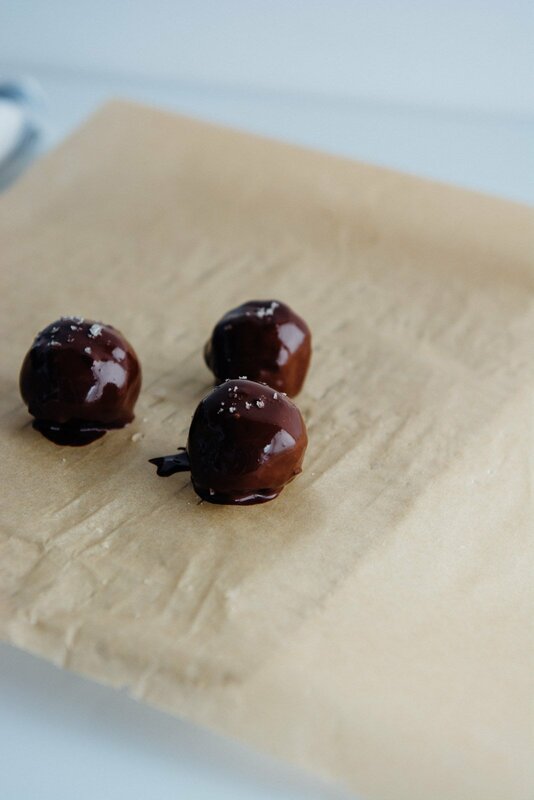 Place on a tray lined with parchment paper and sprinkle with a few flakes of salt. 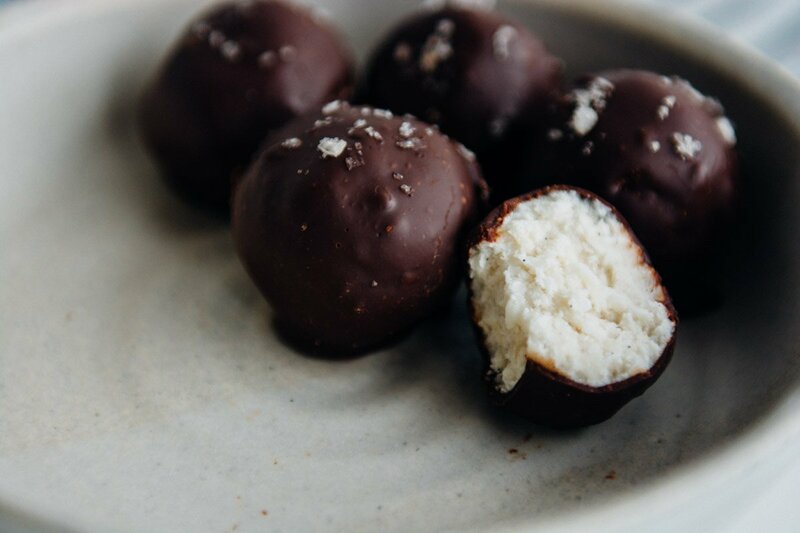 Chill for 15 minutes until chocolate is set. Store bars in an airtight container in the fridge or freezer. Notes: To melt the coconut oil and coconut butter place in a heat-proof bowl and microwave for 15-30 seconds.